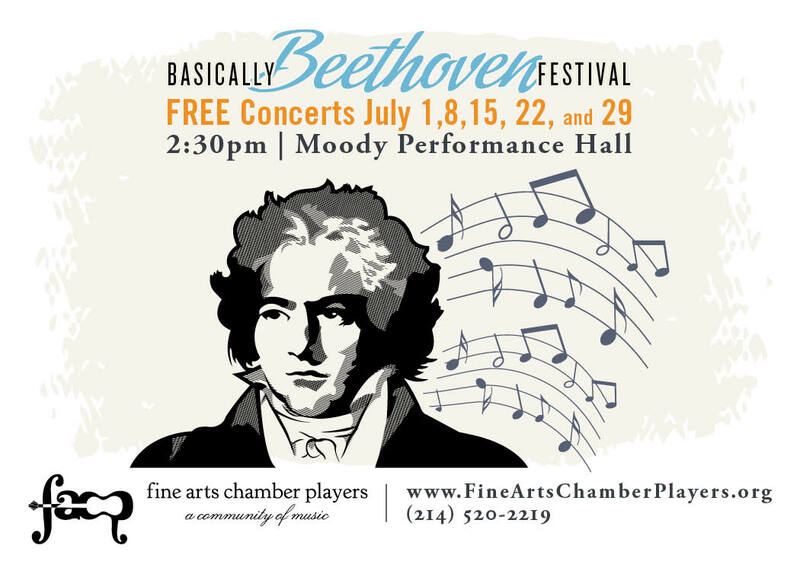 Fine Arts Chamber Players presents the 2018 Basically Beethoven Festival. These free classical music concerts are held in Moody City Performance Hall in the downtown Arts District on Sunday afternoons in July. Concerts feature outstanding professional musicians from the Dallas-Fort Worth metroplex in an informal setting. The afternoons also include Rising Star Recitals showcasing virtuosic student musicians from the area. This popular series attracts crowds filled with music enthusiasts, young professionals, families with children, senior citizens, and symphony, opera, and museum patrons from across North Texas.